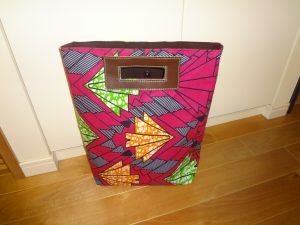 I love African colors and patterns! This bag is from Uganda. A Japanese woman started a business with her mother there. They provide technical and marketing support for Ugandan women who make bags and pouches with African fabric. The name of the enterprise is Ricci Everyday. They have an on-line shop. You may want to know more about Ricci Everyday and perhaps buy something for yourself or for your friends for Christmas. I am sure that you will feel “rich” in your heart, thinking about the hard work of the Ugandan women. Click below! More lovely products are popping up.